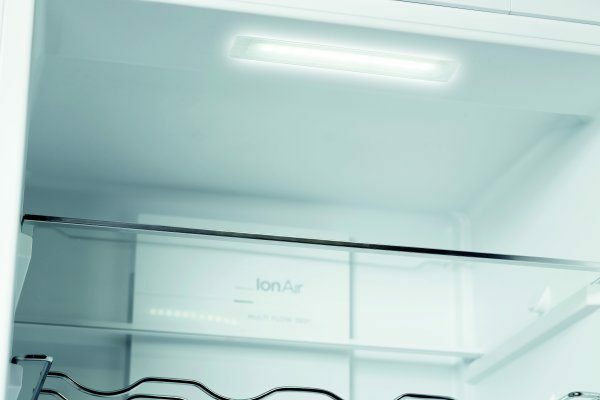 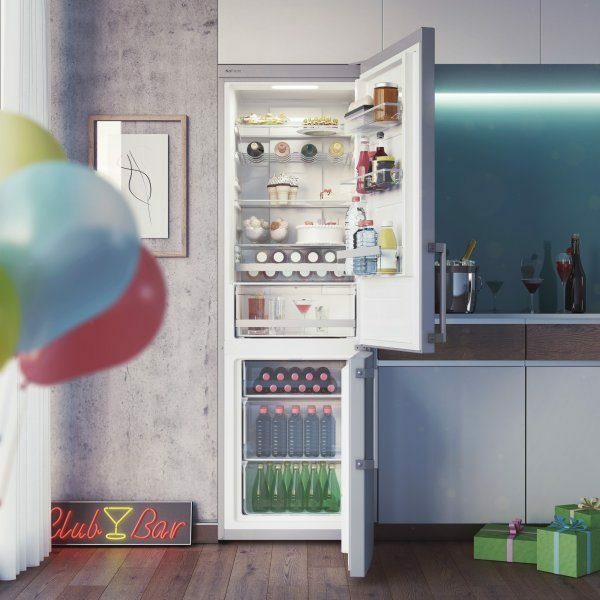 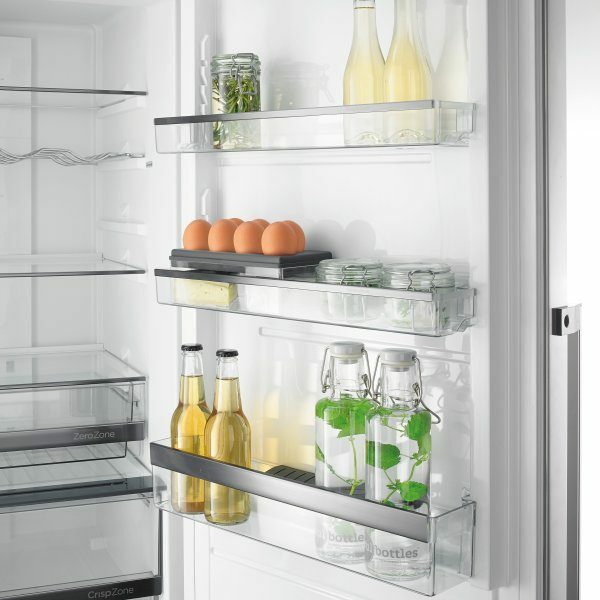 Elegant Black Display with white led diodes contributes to the sophisticated design and allows very simple control with separate use of refrigerator and freezer compartment. 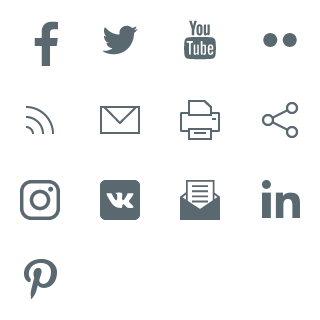 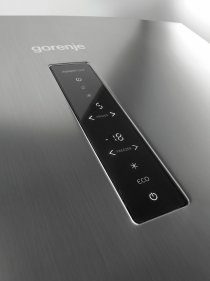 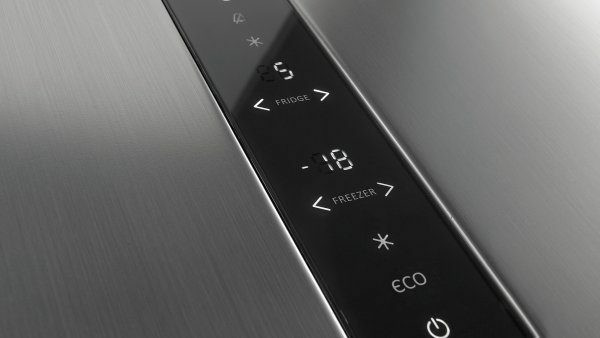 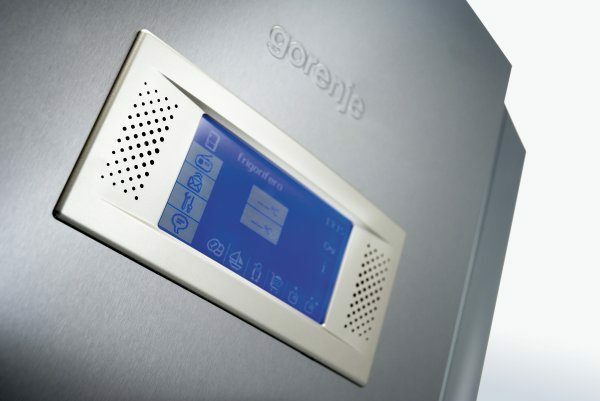 The Premium Touch models are fitted with interactive touch control screens, which allow you to operate the appliance in the language of your choice. 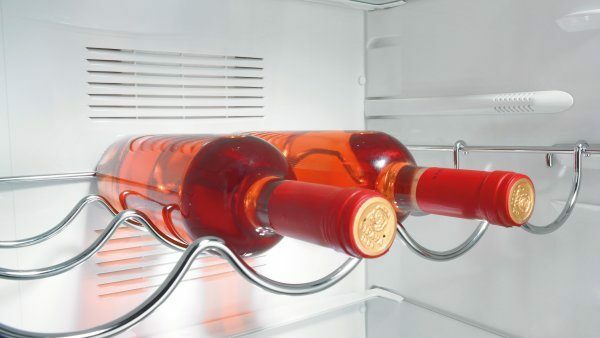 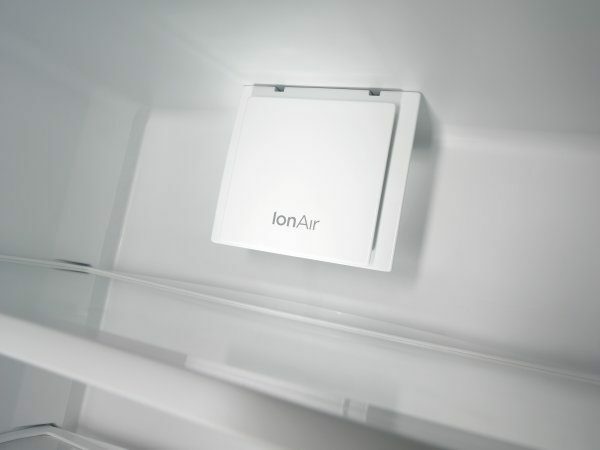 Intensive cooling setting, paired with the Multiflow system that delivers cool air through the vents in the refrigerator back wall, can speed up the process of chilling bottles placed on a special holder – the bottle rack that allows optimum usage of storage space. 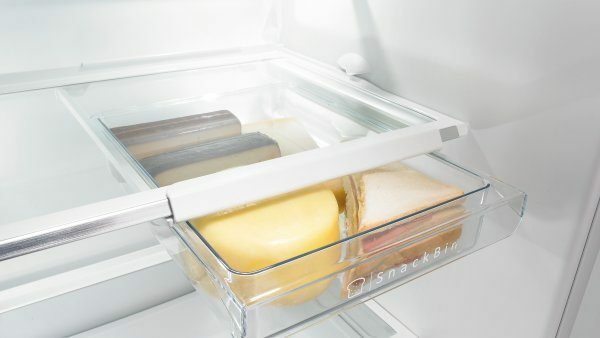 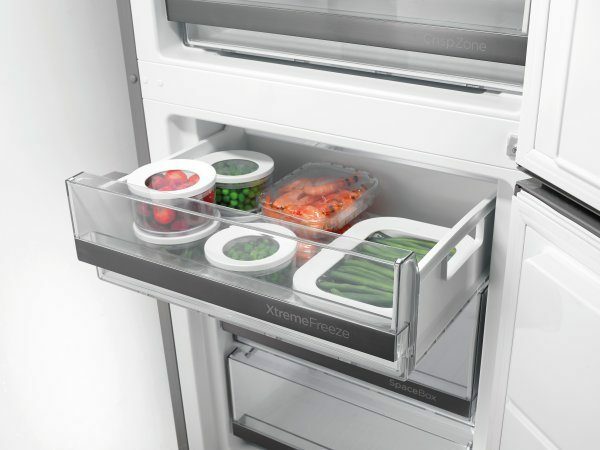 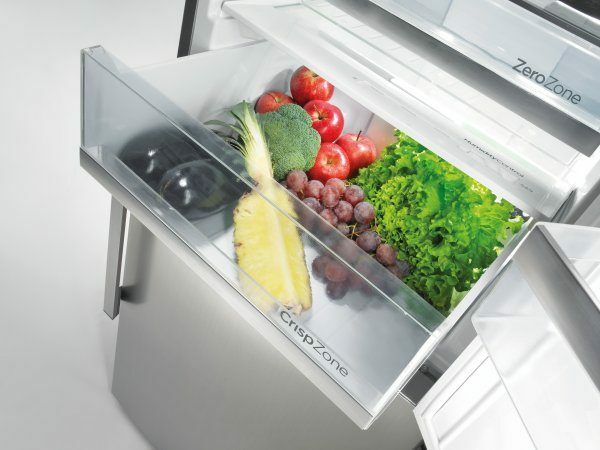 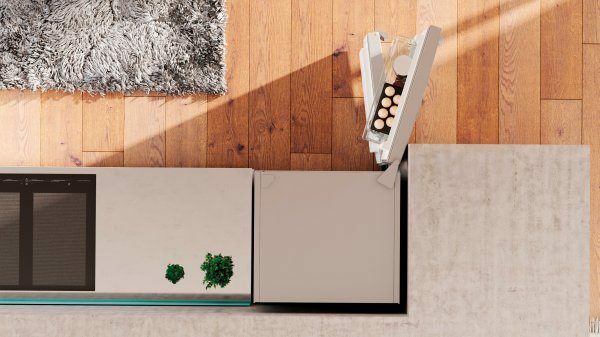 This is an ideal place to store food like cheese, salami, spreads, sandwiches and butter. 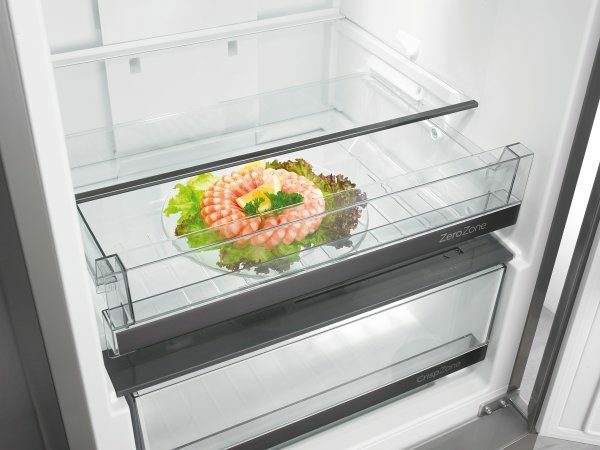 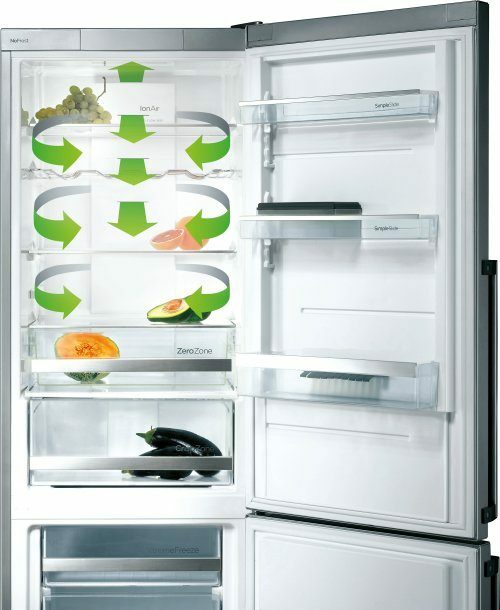 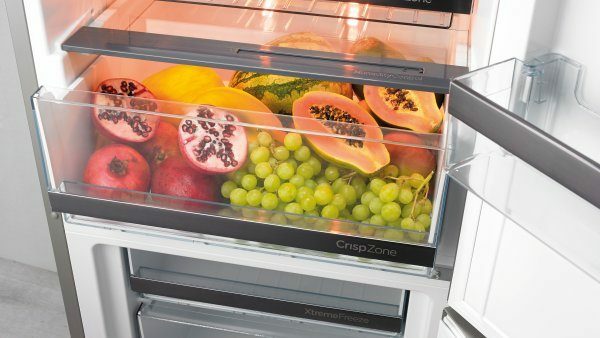 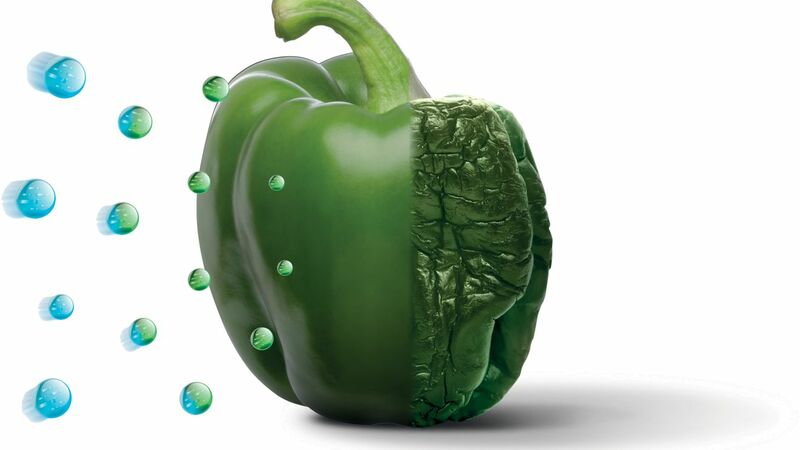 It keeps the food fresh longer and prevents it from drying out. 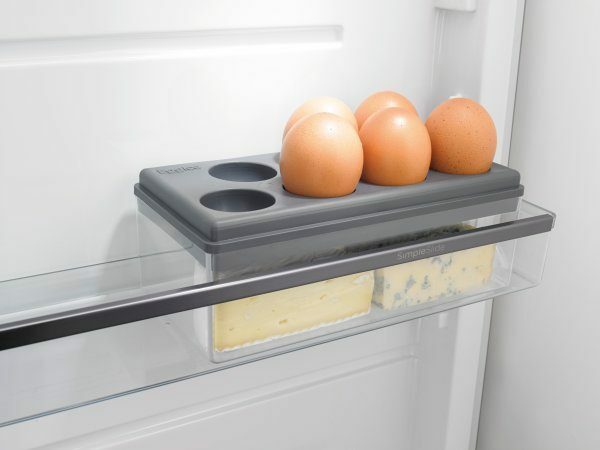 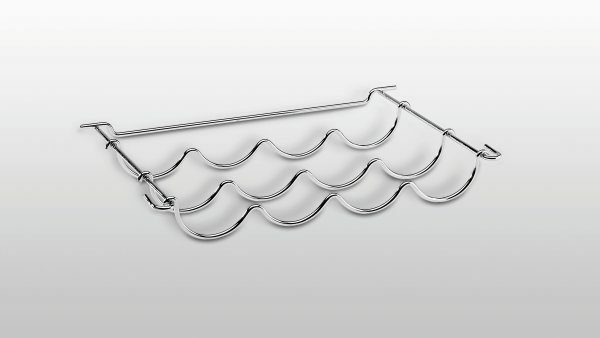 The bin on the lower side of the glass shelf can also be easily pulled out to be used as a serving tray. 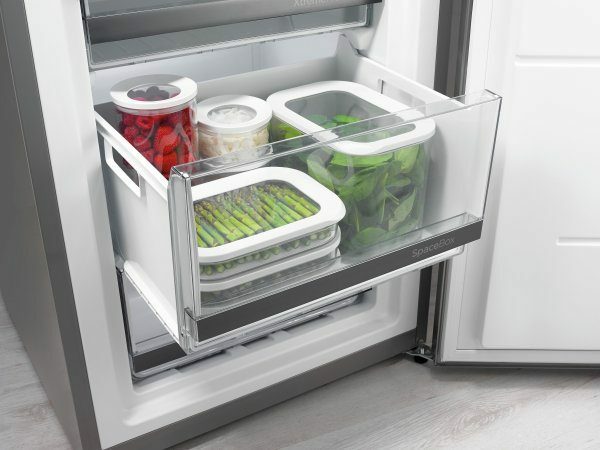 Sliding guides allow neat organization and clear view of the interior.